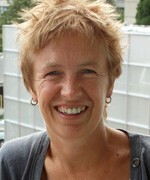 Lisette is a Professor in the School of Physical Education, Sport and Exercise Sciences. Her research canvasses a range of social justice issues in Health and Physical Education. She is particularly focussed on young people’s perspectives of health and physical culture in their everyday lives. She has always been interested in how the content and pedagogies of school–based Physical Education enable some students and disable others. She has supervised doctoral work focused on inclusive physical education and the experiences of those with learning challenges in schools. Burrows, L.C. (1995) Physical Education for All – A Question of Attitudes? Journal of Physical Education New Zealand, 27 (2), 2-3.